E. Tay Bond has gained many years on both sides of the trial process, which has adequately equipped him to prepare a solid case and tough defense for his clients. E. Tay Bond grew up in the Austin, Texas area. In 1994, he received his Bachelor of Science in Criminal Justice from Southwest Texas State University. He then moved to the Houston area and attended South Texas College of Law, graduating with a Doctorate of Jurisprudence in 1997 and passing the Texas Bar Examination in 1998. After graduating from Law School, he took a job with a Harris County Law Firm where he gained experience in Family Law, Insurance Defense and Criminal Law. He further enhanced his skills in Montgomery County, first in the County Attorney’s Office, then in the District Attorney’s office. As Chief Prosecutor, he gained valuable trial experience, responsible for prosecuting criminal offenses ranging from Assault, Driving While Intoxicated and Unlawful Carrying of a Weapon to Possession of Controlled Substance and Theft. 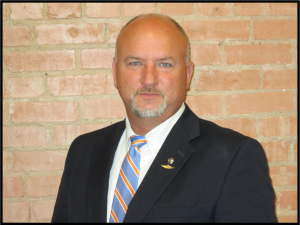 He has served as Chief Prosecutor in the City of Tomball and is currently serving as Chief Prosecutor in the City of Cut N Shoot. After leaving Montgomery County District Attorney’s Office, E. Tay Bond opened a Private Practice, where he focuses exclusively on Criminal Defense. Over the years he has honed his skills by representing Death Penalty, Felony and Misdemeanor cases in preparing clients for Grand Jury Presentation, investigation of the facts and Jury Trials. E. Tay Bond is currently licensed by the State Bar of Texas and has attended numerous continuing education seminars, including Capital Defense College, Firearms and Driving While Intoxicated. He is an active member of Texas Criminal Defense Lawyers Association and the Montgomery County Bar Association, where he was a former President. He also served as former President of the Montgomery County Criminal Defense Bar Association. When it comes to handling your criminal defense, you need someone who has vast knowledge and experience in the Texas Criminal Justice system. E. Tay Bond has earned the respect of prosecutors and other important members of the Montgomery County judicial system. As a former prosecutor and active criminal defense attorney, he is well-equipped to get you the fair and just trial that you deserve and will fight to protect your freedom and your future. Contact us to set up your initial consultation where he can learn the details of your case and focus on a plan for your unique situation. Our office is conveniently located On the Square in Downtown Conroe close to the Montgomery County courthouse.